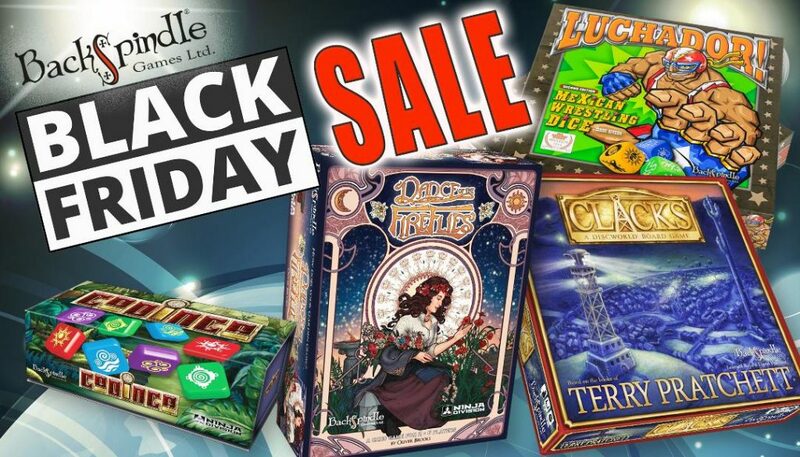 With Christmas just around the corner, and today being BlackFriday2018, we wanted to give you a chance to grab an extra special deal on some of our most popular board games. They are all Great Family Games for Christmas, so if you are looking for a few special Gift Ideas look no further! Luchador! 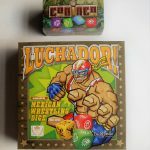 – an all action Wrestling Dice game, for the Lycra-loving grapple fan in your life. 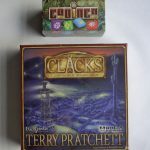 Discworld Clacks– A little bit of Discworld magic straight from the wonderful world of Terry Pratchett. Codinca – An Incan themed, take-anywhere, travel game for your favourite frequent flyer. – And it’s the perfect size to fit any stocking! 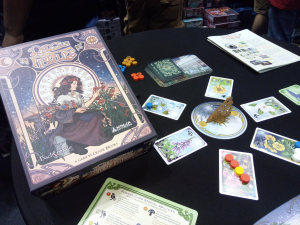 Dance of the Fireflies – The green-fingered folk in your family will love the stunning art-deco inspired designs of this game. But it’s not all roses in the garden. 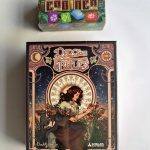 With up to 6 apprentices (players) all out to become Head Gardener there’s room for a little dirt (or ‘Dirty Tricks’) in this beautiful set-collecting card game. 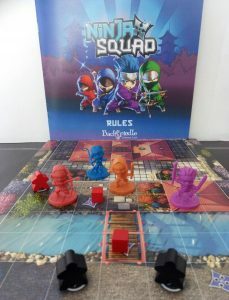 In Other News – NINJA SQUAD HITS UK STORES! 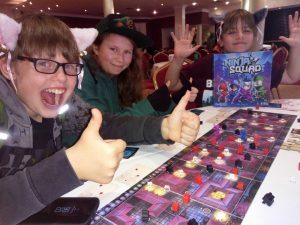 After a fantastic launch at Spiel Essen last month, Ninja Squad received a great reception from many game fans. The main UK consignment of our latest release Ninja Squad arrives in the UK this week. Our pre-orders went out last week For those who have not, you can order your copy here or ask at your local game store. Ninja Squad, (as a famous football pundit once said of a certain ball sport) is a game of two halves. Players begin the game working as a team as they dash across the roof tops of the city, avoiding the palace guards and sentries, on a midnight raid to put an end to the terrible Shogun’s evil reign. But once that mission is complete, the Ninja must make a daring every-ninja-for-themselves escape through the palace gardens at dawn. Only one will escape – only one can claim the Glory! 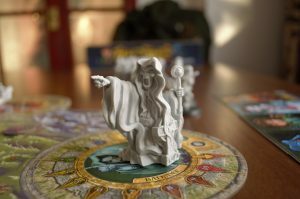 MourneQuest Production Update & Late Pledges. There is still a little time for you to get your name down for a copy of our up-coming cooperative adventure game MourneQuest. Make a late pledge for a copy now and as well as saving money on the future retail price, you can grab a few special KickStarter only extras. There were many exciting things that happened in Essen this year but a definite highlight for us was taking delivery of the very special metal MourneQuest Talismans. Our great friends at Drawlab Entertainment have done an amazing job of creating these for us. Everyone who pledged for a copy of the game, including late pledges, will receive a set of 4 of these stunning coins. Meanwhile, the first stages of production of the main game began this week. 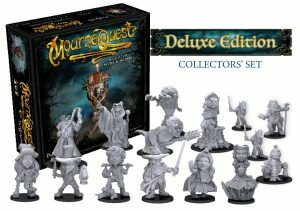 The commissioning of the moulds and tooling for all the wonderful MourneQuest minis has begun. We are really excited to see how all the fantastic creatures inspired by the author Garry McElherron, and skillfully illustrated and sculpted by John Farrelly & Alan Perry come to life. The initial stage is expected to take between 4 & 5 weeks so we hope to be able to show you some sample pieces soon. Until then, make time for games with friends and family.